MEDFORD, Long Island (WABC) -- A family from Long Island is demanding answers after an accident at a nursing home left their father in critical condition. 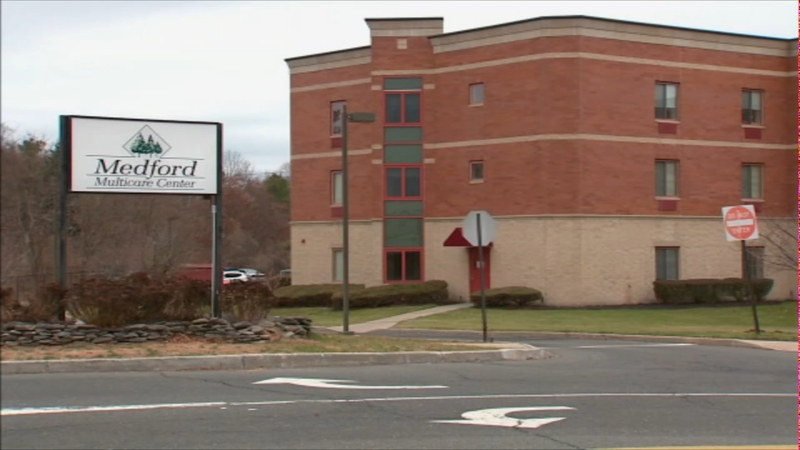 The state is investigating the Medford Multicare Center after 91-year-old Jean Raymond Bruno fell while being moved by an aide. His family says the aide did not follow protocol, leaving their loved one on life support. In the year and a half that he lived in this facility, Bruno suffered four accidents, at least that is the number his family knows about. Now, he is fighting for his life. They say he came in alert and able to tell his family how he was feeling, but he is currently in the ICU at Brookhaven Memorial Hospital after they were told that he fell while being transferred from his bed to a lounge chair on Tuesday. "Not good, not good," daughter Eliette Bruno said. "Because it didn't have to happen like that. He was fine." They say he was transferred inappropriately at the facility, which has been the subject of many prior investigations. Numerous past employees and administrators even went to jail after convictions for neglecting other patients and covering it up, and the center had to pay $38 million in fines after the attorney general accused operators of looting Medicaid funds. After Bruno's case, there is a new investigation as his condition worsens. "The goal here is to get them to change their care for the better," attorney Brett Leitner said. "There's hundreds of residents that are filling the facility that deserve sufficient care." Once again, the New York State Attorney General's Office and the state Department of Health say there is a new investigation underway. Officials with the Medford Multicare Center have not yet responded to a request for comment.